“The City of Mallorca, in ancient times Palma, is blessed with the fertility of its soil, with its healthy air, with the abundance of every kind of fruits, with the enchanting beauty of its buildings, with the situation of its walls and fortifications, with its three Italian miles long ramparts, half of it extremel fortified. It is the capital of the island of Mallorca and of the whole Balearic kingdom. It has an episcopal seat and a royal court presided by a Viceroy in the name of the Catholic Monarch of all Spain. It is situated at the beginning of the fifth northern climate, at 39º 36' of the latitude and 25º 2' of longitude. On the south it is washed by the sea, and its famous harbor is a safe shelter to ships. Designed with great accuracy by Antonio Garau, priest and mathematician, and is published now for the first time. Year of the Lord 1644”. True, the Romans founded a city called Palma in the island of Mallorca, but in fact no document attests in an incontestable manner that it exactly corresponded with present-day Palma. Of course some remains of walls and some blurred traces of possibly important buildings (like an amphitheatre, for example) give some assurance that the Roman Palma stood at the northern part of the modern city, around the plaza de Cort. By when the Arabs arrived in 903, apparently not much of those Roman buildings had been left, and the newcomers did not bother to found their own city on them. 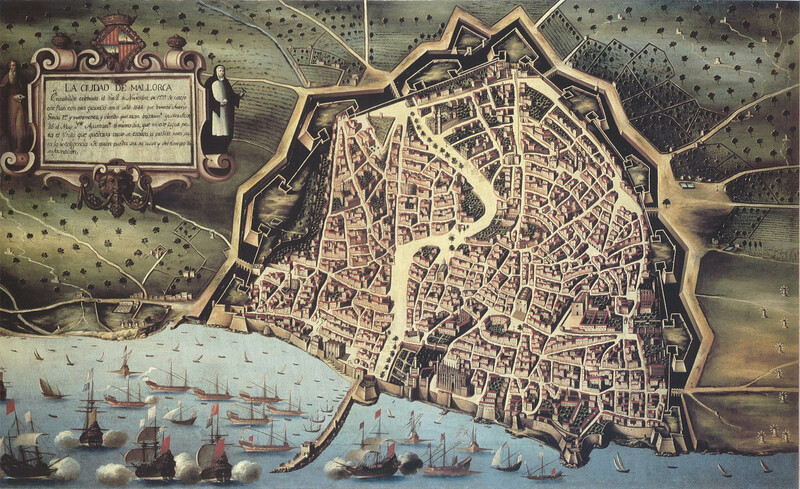 As a result, the first documented name of the city is the Arabic Medina Mayurqa, as “Palma” is nothing more than an obscure hypothesis based on some Roman ruins. In 1229, when Jaume I conquered the island, the name of the city was simply translated from Arabic to Catalan, as it had been already in use in mainland Catalonia, and it received the official name “Ciutat de Mallorca”. This is how it was known until the War of the Spanish Succession, when Mallorca was the last territory to surrender before the army of Philip V. Bourbon on July 3, 1715. 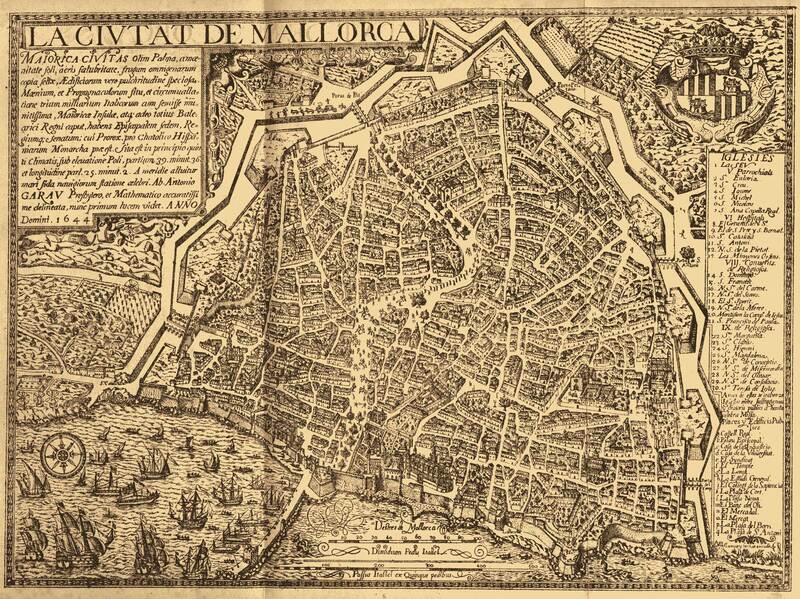 Philip V, in one of his Nueva Planta Decrees wanted to create tabula rasa in the structure of the state, and to especially punish Mallorca, so one of his first measures was to change the name of its capital from the proud and ancient “Ciutat de Mallorca” to the perhaps prestigious but absolutely rootless “Palma” (and never “Palma de Mallorca”: this is a recent invention forged exclusively for the foreigners). The Bourbon also prohibited the use of Catalan language in the administration, which also made impossible the use of “Ciutat”. And now, in 2008 “Palma” has been finally and undisputedly fixed as the official name of the city. 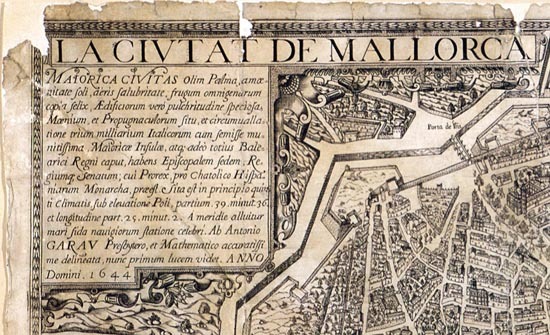 Of course the majority of the people of Mallorca has kept calling the city “Ciutat” to this day, a name that resists do disappear from the mouth of the Mallorcans. And it is a pity that “Ciutat” (or “Ciutat de Mallorca”) could not be preserved as an official name, for there are extremely few cities on this earth that dare to simply and proudly call themselves “the City”, as if they referred to the center of the world. Rome, the Urbs, Constantinople, the Polis (in fact, even the name Istanbul comes from the local Greek is tan polin = in the city), or Medina, the city for the first followers of Mohamed… And of course the “Ciutat” – in Mallorca.